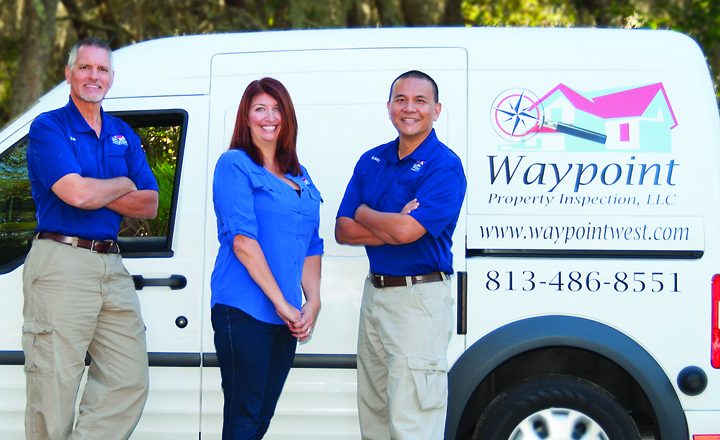 Waypoint Property Inspection, based in Riverview, has earned the service industry’s coveted Angie’s List Super Service Award, reflecting an exemplary year of service provided to members of the consumer review service in 2013. “Only about five percent of the companies Waypoint Property Inspection competes with in the Greater Tampa Bay area are able to earn our Super Service Award,” said Angie’s List Founder Angie Hicks. You can reach Waypoint at 486-8551 or visit www.waypointinspection.com. This is the fourth location for The Woman’s Group at its brand new location at 13005 S. US 301 just before Big Bend Rd. in Riverview, which will open on Monday, February 17. It specializes in obstetrics, gynecology, infertility, aesthetic and body services, in addition to vaccines, ultrasounds, bone density testing, and urodynamics. Contact the new office at 347-4080 or visit www.thewomansgrouptampa.com for more information about this and other locations. How About Sketch & Sip for Valentine’s Day? 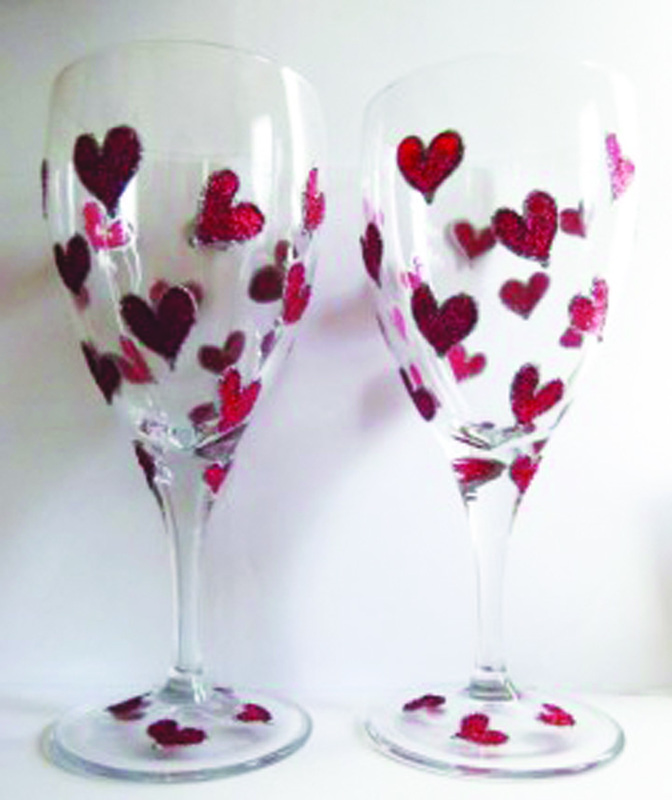 Sketch & Sip, located at 11242 Winthrop Main St. in Riverview is having a “Paint a Wineglass” Valentine’s Day celebration on Friday, February 14 at 7 p.m. Each couple will get to paint 2 wine glasses for only $50 per couple. There will be a champagne toast and appetizers from Acropolis will be served. There will also be live music, free raffles and ladies will receive a rose and a piece of jewelry. Sketch & Sip offers classes Monday-Saturday at 7 p.m. and you can check online for the schedule at www.sketchandsip.com or call 644-5954 for reservations. Residents from Ruskin to Riverview, and from Wimauma to Apollo Beach, have a new option for medical care with the opening on Monday, February 3 of Holistic Medical Care Clinic in Apollo Beach. Located at 400 Frandorson Circle #103 in the South Commerce Center (corner of Apollo Beach Blvd and US 41), the clinic will offer primary care as well as sports medicine. It was founded by Nataliya Sia, ARNP, with the collaboration of its Medical Director, Dr. George Rucker, one of Sarasota’s Top Doctors. Currently accepting new patients with or without health insurance, anyone who wishes to schedule an appointment, can call 398-0470. Walk-ins are welcome. 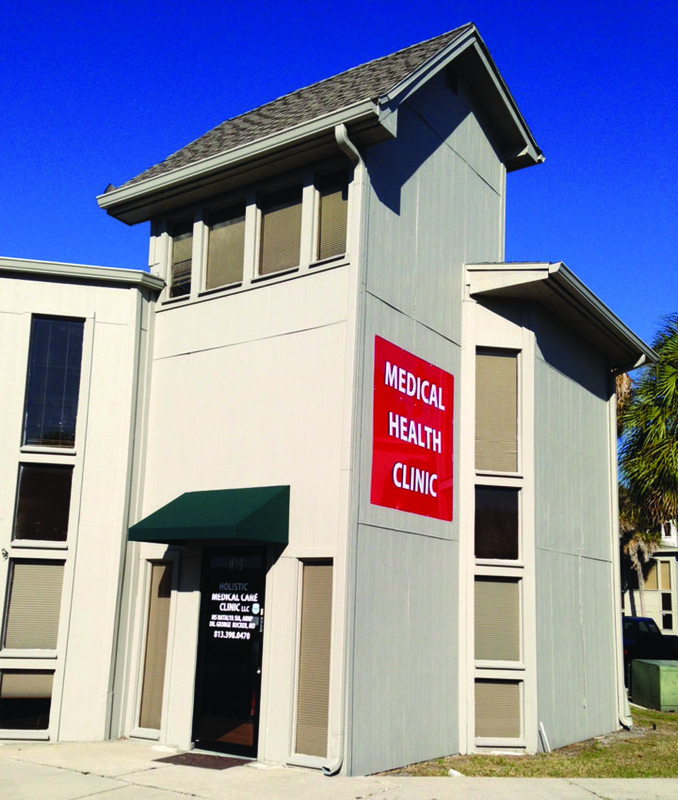 The health clinic is open Monday-Friday from 8 a.m.-5 p.m. and Saturday from 9 a.m.-3 p.m. by appointment. Cellular Sales, the nation’s largest premium Verizon Wireless retailer, with approximately 570 U.S. locations, announced the grand opening of a new store at 11709 Boyette Rd. in Goolsby Pointe Shopping Center in Riverview, where Hollywood Video used to be. The store, which opened in December has already created 10 jobs and is still hiring. “We saw a chance to move into this great shopping center, and renovate a vacant space, so we jumped on it,” Sarah Taylor, regional director at Cellular Sales, said. Originally from Ohio, Adam Terebeckij, owner of Executive Dry Cleaners wants customers to know he offers free pick-up and delivery of your cleaning. Among his great offers are: $10 off your first order, $10 off referrals, $5 missing/broken button guarantee, along with cleaning and preserving wedding dresses, leather/suede cleaning and alterations and repairs. Visit www.exec-clean ers.com for more information and prices or call 751-5061. 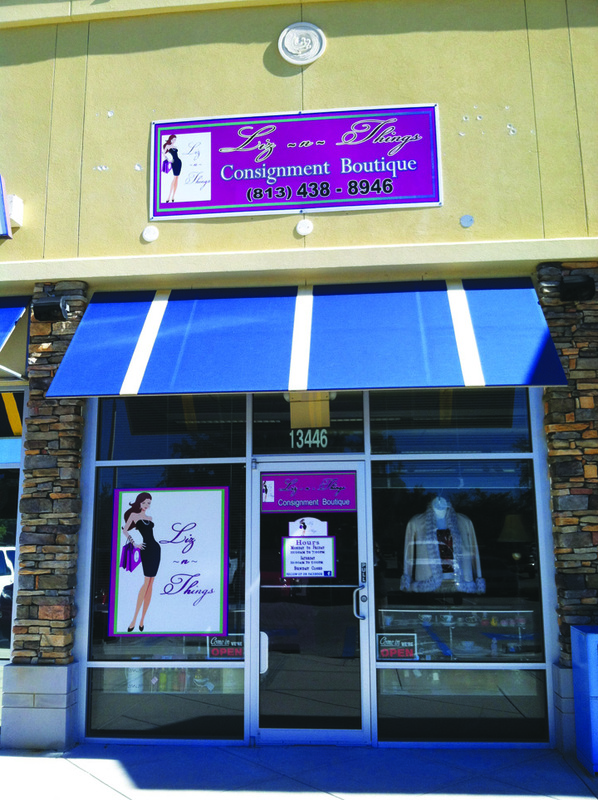 Liz ~n~ Things Consignment Boutique has moved to 13446 Boyette Rd. (behind Buffalo Wild Wings). It also offers an automatic 15% discount to all county employees. Please join Liz~n~Things as it celebrates its Grand Opening on February 15 at 2 p.m. Business hours are Monday-Friday from 10 a.m.-7 p.m. and Saturday from 10 a.m.-5 p.m. For more information, call 438-8946, visit www.LizNThings.com or www.Facebook.com/liznthings. Magic Power Washing, Inc. in Riverview was established in 1999 by owner, Thomas Ross. He was born in Dayton, Ohio and is a graduate of Florida State University after spending 15 years in the aerial lift business. You can call 748-1042, e-mail magicpower washinginc@aol.com or visit www.magicpowerwashinginc.com. Estela and Juan Villegas, owners of La Villa Mexican Grill have a secret. Their food is authentic and delicious. It is located next to Valrico Lakes Academy at 13206 Boyette Rd. in Riverview. It has dine-in or carry out orders with affordable prices and daily specials. Hours of operation are Monday-Saturday, 11 a.m.-8 p.m., closed on Sunday. Call 324-8839 for more information or visit www.Lavillamex.com. Brown Comfort Systems is a heating and air-conditioning company located in Apollo Beach. DeForest Brown, owner, is committed to providing the quality, variety and convenience his customers come to expect, fostering strong relationships with the people and organizations he works with. It is located at 235 Apollo Beach Blvd. For more information, call 671-2555 or visit www.brownac.com. At Duffey Tree Care, LLC, its business is based on the belief that its customers’ needs are of the utmost importance. Its entire team is committed to meeting those needs. As a result, a high percentage of its business is from repeat customers and referrals. It serves the Hillsborough County area with hours of Monday-Saturday, 9 a.m.-5 p.m., closed on Sunday. You can get more information at 381-4329 or visit www.duffeytreecare.com. Owner, Greg Pae and his company, Pae Maintenance are to here to help with all home maintenance and repair projects. It serves all of Hillsborough County and will work on all of those new and unfinished home projects and repairs that clients want. It specializes in investor homes and rental repair and clean-ups. The service hours are 8 a.m.-5 p.m., Monday –Saturday. Pae is a Tampa native with more than 30 years of experience. The company possesses true integrity and true craftsmanship. Call 523-1500 for a free estimate. The LOFT Event Lounge at 709 W. Lumsden Rd. in Brandon is presenting “An Evening in Paris” Valentine’s Day celebration. Each couple will receive a private cabana (larger for three couples available), seven-course French cuisine dinner and dessert, complimentary wine, specialty cocktails, ice cold beer, dancing music. Only advance reservations are available and payment is required at the time of booking due to limited availability. The cost is $95 per couple. The tickets will be mailed or e-mailed to you. For reservations or more information, call 685-8777. Green Iguana founder, Rick Calderoni purchased the building in Brandon, most recently called Zapps Sports Bar and plans to move his restaurant to its location at 2016 Town Center Blvd. next to the old Borders very soon. A grand opening celebration is planned in conjunction with its 25th anniversary in February. Visit online at greeniguana.com. A family-owned business, owner Jennifer Del Rio is a mother of two boys with another little one on the way, while she’s also pursuing a degree in Criminal Justice. 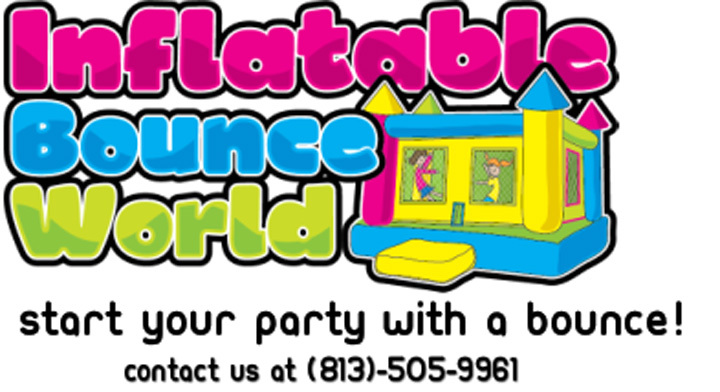 Inflatable Bounce World, located at 3108 Lithia Pinecrest Rd. in Valrico, is a professional, reliable and prompt company. Its hours are Monday – Sunday from 7 a.m.-8 p.m. You can call 505-9961, visit www.inflatablebounce world.com. Cheryl Lee, with RE/MAX South Shore Realty, has recently been presented with the RE/MAX Hall of Fame Award, which honors successful agents who have earned more than $1 million in commissions during their careers with the company. To contact Lee, call 505-5156 or visit www.remax.com. Sherry Leybovich, with CruisePlanners American Express, will be hosting a travel night on Tuesday, February 18, 4-7 p.m. at the Palmetto Club in FishHawk Ranch, 17004 Dorman Road, Lithia. For more information or to RSVP for this event, you can visit www.planourvacationnow.com or contact Sherry at sherry@cruisesforu.com. HealthSource of Brandon, located at 166 E. Bloomingdale Ave. will soon begin educating local restaurant workers on how to react if a customer is choking on food. Chiropractor, Dr. Chad F. Polley said that the training was important even though Florida, unlike other states, does not require restaurants to provide it. Interested restaurant owners or managers can contact Christy at 654-7121 to schedule a session. RoLaV Computers located at 11808 Lark Song Loop in Riverview is a new business that fixes home computers bringing its expertise to the residential market. Owner, Joseph Laviola has 30 years’ experience fixing computers. He can be reached at 671-0192 or email net mgr78@hotmail.com. Pita Kebob Mediterranean Restaurant at 243 Apollo Beach Blvd. will be offering free delivery to Apollo Beach and Ruskin residents. In Sun City, Wimauma and nearby communities in Riverview within a 6-7 mi. radius, a small fee not to exceed $3 will apply. There is a minimum charge of $15 for all deliveries and coupons cannot be honored with delivery orders. Currently, lunch delivery is available from 11 a.m.-3 p.m. to businesses and schools in the area only. For residential, the delivery will start from 4-8 p.m. For more information, call 419-4926 or visit www.pitakebob.com. Its hours are 11 a.m.-8 p.m., seven days a week. It is that time of the year again, when the cupids eclipse our eyes and ignite our senses with the illusive love bug. 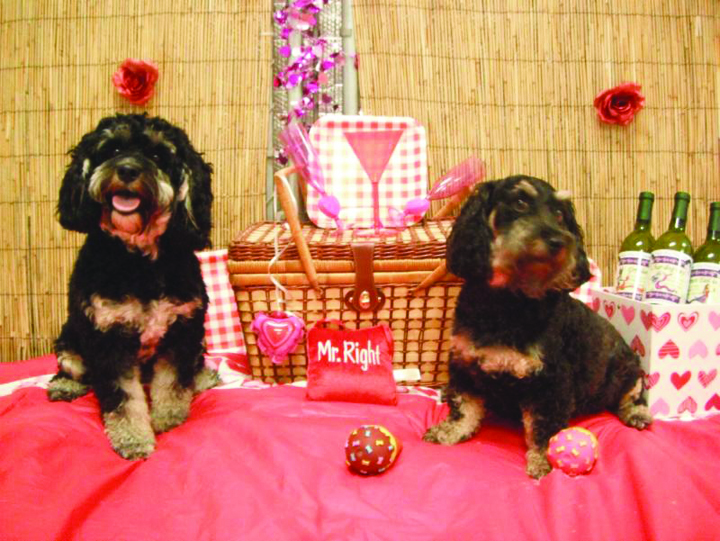 This Valentine’s Day, there will be celebrating at the Canine Cabana, located at 9708 Carr Rd. in Riverview with a festival of love. Promenade on in on February 14 for a Valentine’s Day Spectacular. Who knows, maybe your pooch will have a secret admirer. It encourages you to dress your pup in absolutely adorable attire so it can showcase its Valentine Vixens and Handsome Hounds. It will have a “Kissing Booth” for the doggie daydreamers and a “Sweetheart Photo” set up for the Cutest Canine Couples. Sign up today for this Valentine’s Day Spectacular. For more information, call 672-WOOF (9663). In the late 1980’s, Roberts bought a male English springer spaniel. The following year she purchased a female and intended to mate them. Taking matters into their own hands and 60 days later, she had nine huge puppies to find homes for. After that Roberts took AKC dog obedience training and became certified to teach companion dogs. She signed up to foster rescued springer spaniels and continued training dogs. To contact Roberts, make a donation, or learn more about her rescue service, email robinin ruskin@gmail.com or visit Critter Mama Rescue on Facebook.